Are you unable to find the Keller TX Taekwondo Classes you’re looking for? Maybe you’re interested in learning Taekwondo, but you simply don’t know how to start this. If you’re trying to do better but you don’t know how you’re going to make this happen, lean on Tiger-Rock Martial Arts today. We have a professional group of courses, classes, and instructors who want to help you with your problems. Our team wants to help you transform, and we think you have what it takes to be the person you’ve always envisioned. 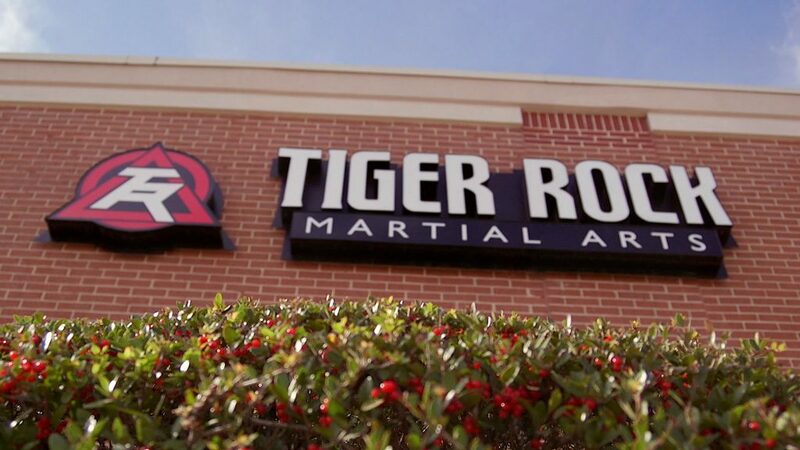 Tiger-Rock is a martial arts dojo that has been around since 1983. We were founded as a simple studio designed to help local students develop their Taekwondo skills. Ever since then, our name has turned into the biggest and best martial arts franchise in the United States. You’re probably looking for a place that has a solid reputation of helping students improve and strive towards greatness. If you’re ready to immerse yourself in an environment that’s going to do just that, TRMA is the place for you. We understand that everybody wants to be better, and this is something that’s perfectly natural and healthy. Nearly every human being wants to maximize their mental and physical capabilities, and it’s important to capitalize on this when the urge presents itself. Are you ready to make sure your mind and body get better before it’s too late? Whatever reason or motivation you have for this, take advantage of it by joining our Keller TX karate dojo. Are you unable to lift as much weight as you used to back in your younger years? Maybe you have a two-story house, but you haven’t been able to go up the stairs in peace for a very, very long time. These are problems that a lot of people experience it, but unfortunately, it can be very discouraging. If you’re trying to ensure you have the personnel and exercises you’ll need to transform your physical stature, reach out to our crew. We have the methods you’re looking for, and they’ll definitely be able to help you get better. The exercises you’ll be able to experience in our Keller TX Taekwondo Classes are perfect if you’re on a mission to get better, faster, stronger, and more flexible. Did you know that the strikes and kicks we put you through are full-body exercises? Not only will you be able to develop perfect form, but you’ll also be able to stimulate your muscles and push your body towards betterment. This is something that everybody wants to do, and we make it possible with the help of our trained instructors. Our team wants to make sure you’re able to get the most out of your body, and we’re here to help you through every single step and obstacle. Regardless of whatever you run into along your journey, we’ll be there to guide you towards success. While your physical fitness is an incredible asset to have, it’s unfortunately not the only thing you’ll need to be completely healthy. Are you trying to make sure your mind is exactly where it needs to be, but you’re having some problems making this happen? Maybe you’re unsure of why you’re having mental lapses and your concentration is failing. If this is the case, you can count on the Tiger-Rock Keller TX karate dojo to be exactly what you need. We understand your frustrations, and we have developed solutions so you don’t have to go at it alone. Make sure you take advantage of our drills and courses if you feel like your mind needs to get better. This is your greatest asset, and you’re going to want it in the best possible shape. At TRMA, we will demand the most out of each and every student that joins our dojo. If you’re someone who gives maximum effort every time you step in our studio, you’ll see the benefits. The effort is well over half the battle, but having it around the clock is easier said than done. Make sure you keep your energy levels high so you can use it towards betterment. Did you know that martial arts are one of the best ways to sharpen your mind? There are a plethora of studies available to the general public that support Taekwondo’s positive effects on people. Many of our students report an increase in focus, concentration, and discipline after immersing in our classes. If you’re someone who’s trying to get the best out of your brain but you don’t know how to go about this tricky process, we’re here to help. Our professionals are ready to help you transform your way of thinking. Visit Tiger-Rock for more information! When you’re unable to go to a class on a regular basis, it might seem like you’re unable to get the most out of your course. Are you someone who’s always on the go, and you need a dojo to give you some flexibility? If so, we think you’ll fit in quite well at Tiger-Rock. We understand that people want to be able to go to a medley of different classes. Make sure you take advantage of the many time slots we have; you can always find an opening here at TRMA. Keller TX Taekwondo Classes are absolutely critical if you want to make sure you’re able to master this form of martial arts. 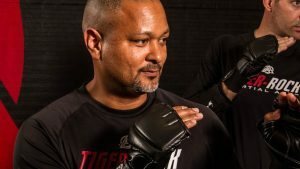 If you’re ready to start getting serious about competitiveness, mental health, and physical fitness, Tiger-Rock can help you. Our dojo puts a high priority on all of these things, and learning Korean Taekwondo can truly assist your transformation. If you’re ready to start getting better, call our dojo today for more information! Keller is a small city that is in the Tarrant County. As a part of the Dallas-Fort Worth area, this is considered to be one of the budding communities of Texas. Our settlement was first started back in the 1850s. While we started as a hub for trading, farming, and cattle, we have since become a very modern town. Today, Keller is here to provide you with the residential and commercial solutions you’re looking for. Visit our town to learn more about this thriving community!